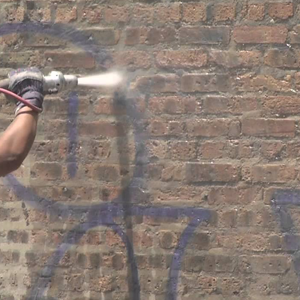 Most industrial and commercial facilities have a block or metal exterior, and the type of material can impact the best way to remove graffiti. In addition, the type of paint or marker used to create the graffiti also changes the way it should be removed. Euro Painters knows the best way to treat each situation to remove graffiti without damaging the walls or surfaces. 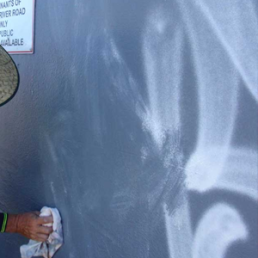 Euro Painters graffiti removal techniques include pressure washing, sand blasting, chemical treatments and repainting. 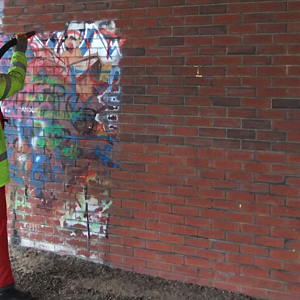 We also provide graffiti prevention services, including applying anti-graffiti coatings, which help prevent graffiti from adhering to a wall. With a wide spectrum of services, Euro Painters serves factories, warehouses, stores, HOA’s, libraries, schools, churches, airports, parking garages, municipalities, agricultural facilities and more. At Euro Painters, we provide our wide experience with Commercial / Industrial work for you, including detailed product knowledge to help you decide on the right materials for your building. In addition, our expert workers take the time to do every step of the project correctly, including the laborious preparation, so that you perceive will receive maximum performance. Euro Painters Commercial / Industrial / Residential crews also work evenings, weekends, holidays and business shutdown time in order to prevent unnecessary disruption to your organization.